The Yass Music Club Honours the Memory of Dr RAG Holmes. As its annual Tribute Concert to its former Music Director and Founder, Dr RAG Holmes, the Yass Music Club presented its second concert of the 2014 season with a spectacular performance from Nick Parnell, Virtuoso Vibes player. It was a singular occasion with many members of the Holmes family in attendance as a mark of their continuing support for the Music Club and for the opportunity to recognise the outstanding contribution that the much loved RAG Holmes had made to the cultural life of Yass through the activities of the Music Club. There was also a large and enthusiastic audience in attendance to hear Nick Parnell present his unique brand of music, which ranged from classical composers such as Ravel and Debussy, including a scintillating and extraordinarily complex allegro by Paganini, to a tango by Albeniz and then to the modernity of George Gershwin with extracts from “An American in Paris” and a stirring version of the ever popular ‘Summertime’ from “Porgy and Bess”, as well as ‘Promenade (Walking the Dog)’, which Nick explained with great good humour. Nick Parnell’s vibraphone art is extraordinary and he received an enthusiastic welcome back to Yass for his second visit and he again wowed his appreciative audience with his skills with his mallets of steel. He was well accompanied on the Club’s magnificent Steinway Grand Piano by Michael Ierace. Emma Ayres of Classic FM writes of this percussionist of perfection that “Nick Parnell is a complete and utter star. A brilliant and beautiful performer” and he certainly shone brightly for us in Yass at the Music Club’s concert on 17th May. As always, there was a superb Supper provided by the Berinba P&C and it is a delight to be able to support Berinba School’s activities through the hard work of their P&C. Celebrated as one of the most exciting vibes players in the world today, Nick Parnell makes old music new again, injecting energy into a repertoire that might be familiar to some, but definitely inspirational to all. With a spirit of recklessness, Parnell takes one of the newest of classical instruments and gives it a genre-bending makeover. Steel yourself for his mallets of musical mastery. Born in the Australian outback town of Orroroo, Nick Parnell began teaching himself drums in his parents’ sheep shearing shed at the age of ten. Such humble beginnings ignited a passion in Parnell that has led to accolades including first place in the International Melbourne Percussion Competition in 2001, a Centenary of Federation Medal awarded by the Australian Government (for contribution to the arts) in 2003 and the Dame Roma Mitchell Churchill Fellowship in 2011. Parnell underwent formal training at the Elder Conservatorium of Music, University of Adelaide (Australia), where he completed his PhD. During this period he also studied and undertook master-classes with many of world’s great percussionists including Uffe Savery from the famed Safri Duo, Evelyn Glennie and Gary Burton. A creative spirit who believes a greater level of artistry is possible, Parnell very quickly became attracted to the musicality, subtlety and beauty of the vibraphone, to which he has applied his dexterity to become one of the world’s great vibraphone virtuosos. 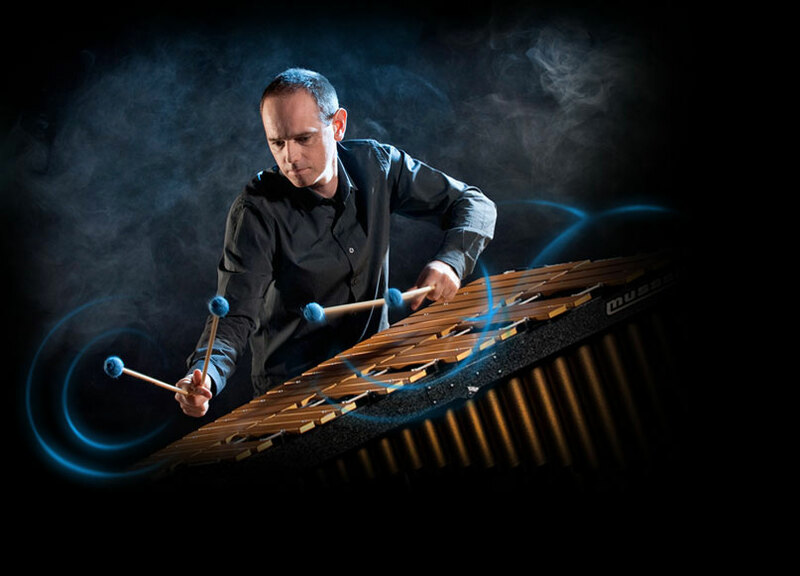 However, his talents extend across a range of percussion instruments – 50 at a guess – including marimba, tuned gongs, bamboo chimes, cymbals and various exotic ethnic drums. Parnell continues to strengthen his performing skills with a cache of international ensembles – including the English National Ballet, Russian Ballet Company, the Adelaide Symphony Orchestra, West Australian Symphony Orchestra and Australian String Quartet. He has appeared at the Melbourne Recital Centre, Sydney’s City Recital Hall, and was the first solo percussionist to play in the Art Gallery of NSW’s prestigious Resonate concert series. Festival appearances include Adelaide and Melbourne International Festival of the Arts, International Canberra Chamber Music Festival, Musica Viva, Adelaide Contemporary Music Festival, International Barossa Music Festival, Womadelaide and Australia’s first International Percussive Arts Society Festival. Over the years, Parnell has proudly shared the stage with a number of inspirational artists, the likes of concert pianists David Helfgott (as immortalised in the biopic Shine) and Michael Kieran Harvey (1993 Ivo Pogorelic Piano Competition joint winner), shakuhachi grand master Riley Lee (TaikOz), didgeridoo virtuoso Mark Atkins (Led Zepplin/Philip Glass) and marimba soloist Bogdan Bacanu (Austria). He has worked with many distinguished conductors including Gunther Schuller, Lorraine Vaillancourt and Olari Elts. A renegade on many fronts who actively embraces the crossover between different music genres, Parnell was the featured soloist in the ASO’s 2006 Edge series where he performed orchestral versions of rock songs. He has given numerous performances for ABC Classic FM’s National Sunday Live programs and made Australian premieres of new compositions including Estonian composer Erkki-Sven Tüür’s percussion concerto, Magma. 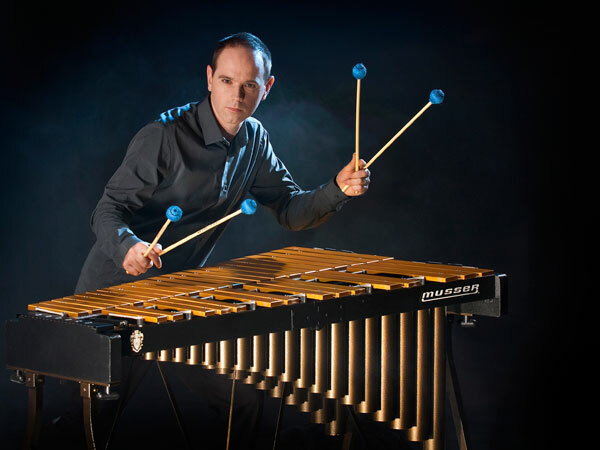 Parnell attracted world-wide attention in 2008 by recording one of the world’s first solo classical vibraphone albums, Classical Vibes, for ABC Classics in Australia, which followed his debut album, Generally Spoken It’s Nothing but Rhythm. His subsequent performances were met with critical acclaim. As one of the first musicians to bring the vibraphone to the attention of the classical music world, Parnell’s ongoing ambition is to break down the elitism of classical music and make it available for everyone to enjoy.